You got a little teaser earlier this week about a second gluten-free pumpkin recipe coming your way, and now it’s time to deliver. 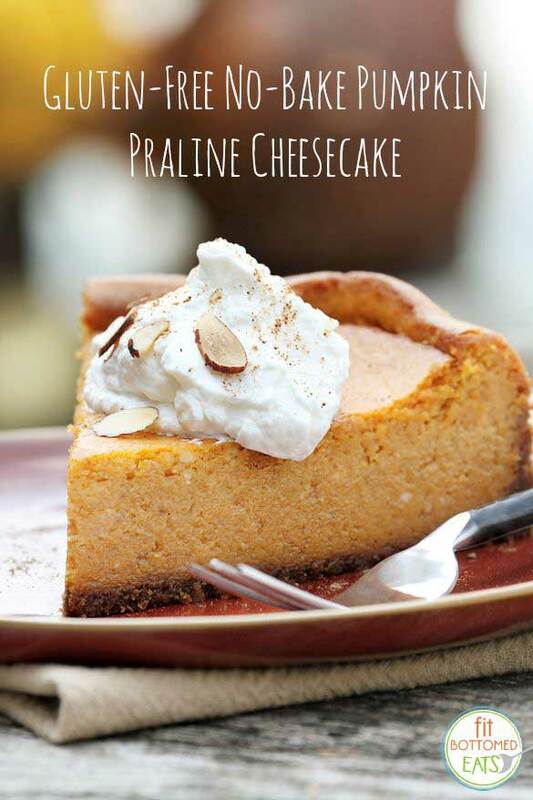 Grab your forks and leave the oven off, because we’ve got a gluten-free, no-bake pumpkin praline cheesecake! This tasty gem also comes from Simply Gluten-Free, and, just as with the pumpkin walnut cake recipe, you can catch these recipes and plenty of other great gluten-free recipes in the current issue of the magazine, which is on newsstands until the end of the month. Add the pecans, salt and brown sugar. Refrigerate until cooled, about 10 minutes. Spray a 9-inch springform with gluten-free, nonstick cooking spray. Line the bottom of the pan with a piece of parchment or waxed paper. Combine all of the ingredients, mix well and press them firmly into the prepared pan, covering the bottom and sides of the springform. In the bowl of an electric mixer, combine cream and powdered sugar, and beat until stiff peaks form. In another mixing bowl, beat cream cheese until smooth. Add the pumpkin, cinnamon, cloves, nutmeg, salt and sugar, and beat on medium speed until combined, scraping the bottom and sides of the mixing bowl at least once. With a spatula, fold in the whipped cream mixture until no longer streaky. Scrape the nut topping off the pan with a spatula to top the cheesecake. Refrigerate the cheesecake for 3 hours or up to 24 hours.